Update: The detained Canadian businessman Michael Spavor, who worked with North Korea, is being investigated on suspicion of "harming China’s security", China said on Thursday, days after a former Canadian diplomat disappeared in the escalating diplomatic row between Beijing and Ottawa. The announcement follows the detention in Beijing on Monday of former diplomat Michael Kovrig, who works for the International Crisis Group (ICG). According to Reuters, state media in China has reported Kovrig is being investigated on the same charges. Chinese Foreign Ministry spokesman Lu Kang, asked about Spavor’s detention, said both he and Kovrig were suspected of harming national security, reiterating state media announcements. The Canadian embassy has been notified of the detentions, he added, declining to provide further details of the investigations but added that he had not heard of any other cases of Canadians being investigated. Asked if Meng’s release would see the two Canadians released, Lu reiterated that Meng’s arrest was mistaken action and Canada should immediately let her go. He said authorities had taken measures “according to the law” in the Canadians’ cases, and China welcomed foreign visitors, and they had nothing to fear so long as they obeyed the law. Meanwhile, Hu Xijin, editor of the state-backed Global Times, a nationalistic tabloid, said on the Weibo social media platform the Chinese government would never concede that the Canadians’ detentions were related to Meng’s case. “But the use of a complete set of laws to prove the rationale for arrest is one and the same as what the U.S. and Canada did to Meng Wanzhou,” he wrote. "We haven’t been able to make contact with him since he let us know about this,” Freeland told reporters Wednesday in Ottawa. "We are working very hard to ascertain his whereabouts and we have also raised this case with Chinese authorities." 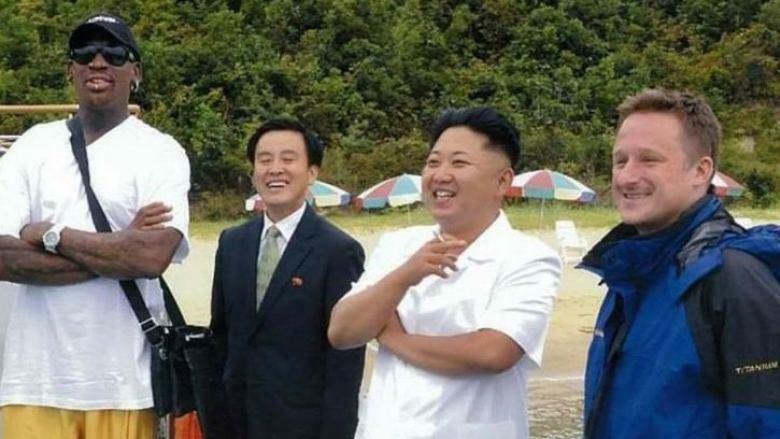 Spavor's personal Facebook page contains several images of him with North Korean leader Kim Jong-un including one of him with both Jong-un and former Dennis Rodman at an undisclosed location. The unexplained disappearance takes place after China’s spy agency detained former Canadian diplomat Michael Kovrig in Beijing on Monday, who was on leave from the foreign service. The arrest came nine days after Canada arrested Huawei Chief Financial Officer Meng Wanzhou at the request of U.S. DOJ. While Canada has asked to see the former envoy after it was informed by fax of his arrest, Canada is unaware of Kovrig current whereabouts or the charges he faces. One possibility is that Kovrig may have been caught up in recent rule changes in China that affect non-governmental organizations, according to Bloomberg. The ICG wasn’t authorized to do work in China, Foreign Ministry Spokesperson Lu Kang said during a regular press briefing in Beijing Wednesday. “We welcome foreign travelers. But if they engage in activities that clearly violate Chinese laws and regulations, then it is totally another story,” he said, adding he had no information on Kovrig specifically. As Bloomberg further notes, foreign non-governmental organizations are now required to register with the Chinese authorities under a 2017 law that subjects them to stringent reporting requirements. Under the law, organizations without a representative office in China must have a government sponsor and a local cooperative partner before conducting activities. ICG said this is the first time they’ve heard such an accusation from the Chinese authorities in a decade of working with the country. The company closed its Beijing operations in December 2016 because of the new Chinese law, according to a statement. 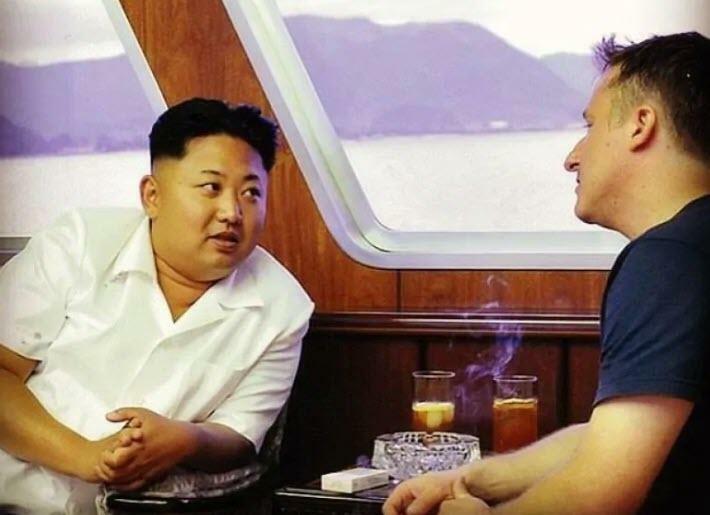 Kovrig was working out of the Hong Kong office. Meanwhile, realizing that it is increasingly bearing the brunt of China's retaliatory anger, Trudeau’s government distanced itself from Meng’s case, saying it can’t interfere with the courts, but is closely involved in advocating on Kovrig’s behalf. So far Canada has declined to speculate on whether there was a connection between the Kovrig and Meng cases, with neither Freeland nor Canadian Trade Minister Jim Carr saying Wednesday that there is any indication the cases are related. Then again, it is rather obvious they are. Indeed, Guy Saint-Jacques, who served as ambassador to China from 2012 to 2016 and worked with Kovrig, says the link is clear. “There’s no coincidence with China." Even though Meng was granted bail late Tuesday, that did not placate China, whose foreign ministry spokesman said that "The Canadian side should correct its mistakes and release Ms. Meng Wanzhou immediately." The tension, according to Bloomberg, may force Canadian companies to reconsider travel to China, and executives traveling to the Asian country will need to exercise extra caution, said Andy Chan, managing partner at Miller Thomson LLP in Vaughan, Ontario. “Canadian business needs to look at and balance the reasons for the travel’’ between the business case and the “current political environment,’’ Chan said by email. Chinese officials subject business travelers to extra screening and in some case reject them from entering, he said. Earlier in the day, SCMP reported that Chinese high-tech researchers were told "not to travel to the US unless it's essential." And so, with Meng unlikely to be released from Canada any time soon, expect even more "Chinese (non) coincidences", until eventually China does detain someone that the US does care about.